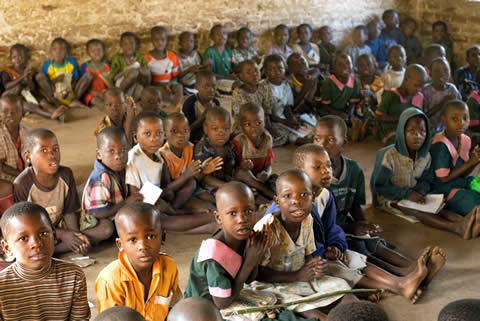 Malawi Director of Secondary and Distance Education in the ministry of Education, Science and Technology, Chikondano Mussa, on Wednesday said that government plans to support needy students in all public secondary schools as a way of lessening school dropouts in the country. Mussa’s remarks come amidst reports that head teachers in some government secondary schools are chasing needy students for their failure to pay school fees. Mussa further advised heads of all government secondary schools to allow needy students who fail to pay for school fees to proceed with their studies while government facilitates processes of putting such students on bursary. He also urged parents who cannot afford paying school fees for their wards in full to negotiate with school authorities so that they are allowed to pay by way of installments. Mussa further called on parents who fail to pay for their wards to write Education Division Managers through head teachers to have the places of their wards reserved for one academic year while the parents look for means of raising fees for the students. We r not children.It must b a lip-servic. Aphuzits ambirimbiri osalembedwa ntchito mmidzimu hence shortage of teachers in xool nde ndalama zothandizira much needy zikakhalapo awaphuzitse anawo ndani..nosense GVT. Who are you fooling who? Nde akweza bwinotu, k1000 yokha basi.Koma amenewa azacoka pa mpando? boma lawakanika awaa..lero anena izi, mawa akuzazitsutsa okha opanda owafunsa..
Nde timve kuti chani pamenepa, mukambirane kaye mfundo imodzi kenako muliwuze dziko zomveka bwino osati mazalamphuno anuwa. Kodi mutichanino achipani tanani mawu anu omaliza basi.munene ichi mawa ichi timve ziti sono? Munayamba Kapena Mudzayamba Kulipilira Ana Mu Chaka Cha 2018? Kumangodzikola nokha, mukulipilitsa nkumatinso muziwalipilira whats that? Ankati MSB sagalitsa kenaka anagulitsa, nde tizingopeperabe?